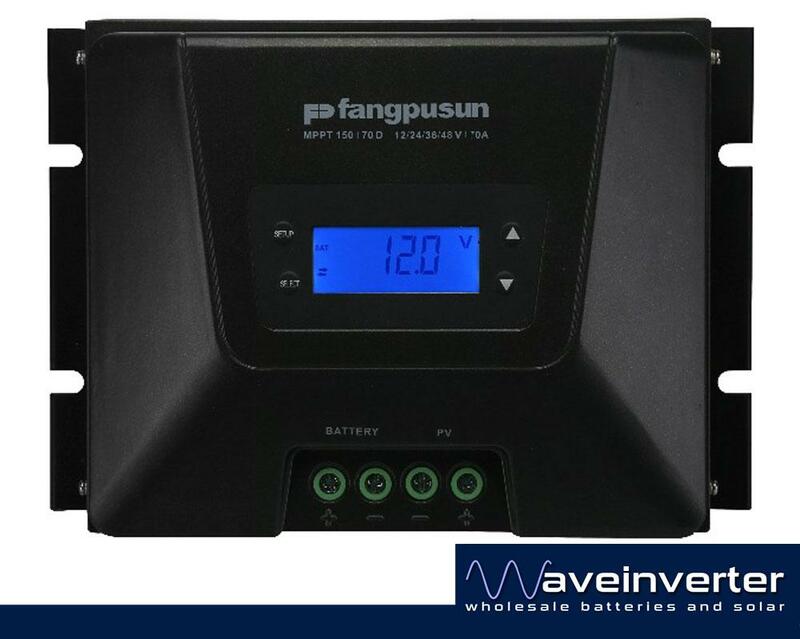 The 70A 12/24/48V FAST MPPT Controller from Fangpusun it uses the latest Continuous Maximum Power Point Tracking (MPPT) technology, which seeks out the maximum power available from a solar array. Voltage stepdown converter to be able to convert high PV voltages down to lower battery voltages of 12, 24 and 48 volts. Connect a maximum of: 1050 watts(@12V) , 2100 watts(@24V) , 4200 watts(@48V) to your batteries. Advanced Maximum Power Point Detection MPPT rapidly adjusts to changing weather conditions giving you 10% more power compared to slower MPPT Controllers. And in case of partial shading conditions two or more maximum power points may be present on the power-voltage curve and the greater of these will be found. Conventional MPPTs tend to lock to a local MPP, which may not be the optimum MPP. Maximum efficiency exceeds 98%. Over-temperature protection and automatic power derating when temperature is high.